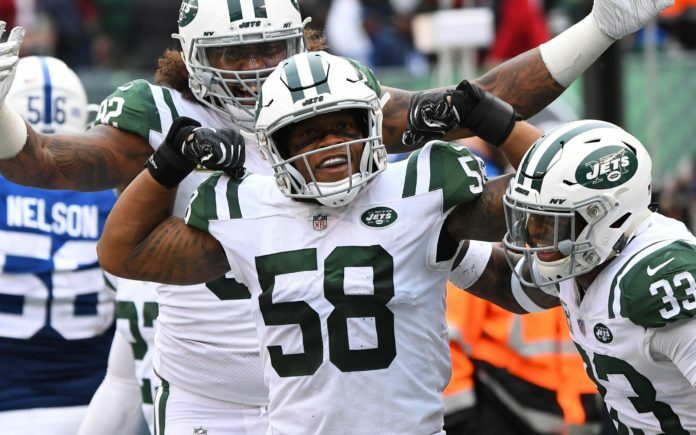 Should Denver trade for Darron Lee at ILB, or draft a stud? Darron Lee. Credit: Robert Deutsch, USA TODAY Sports. 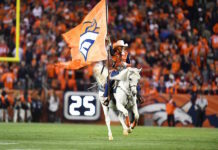 The Denver Broncos have rocked free agency, signing two starting cornerbacks, a much-needed offensive tackle and re-signing tight end Jeff Heuerman. However, there’s still a lot of work to do for John Elway and Co. in the next few weeks, both before and after the NFL draft. Most glaringly, the Broncos are in dire need of an inside linebacker. Other positions in which they’ve lost starters — center and safety — Denver can plug-and-play with personnel they have already on the roster. Connor McGovern will almost certainly replace Matt Paradis — albeit a downgrade at center — while Will Parks will step into the void Darian Stewart left. But, are Todd Davis and Josey Jewell ready to take the reins of the Broncos defense at that valuable inside linebacker position? The quick and easy answer is “No.” The more detailed answer is: Davis will likely start this year no matter who the Broncos sign or draft while Jewell will probably be a backup inside. So, with most of their cap spent — the Broncos likely have between $2-7 million remaining — where could they turn? There are two options currently being floated. Denver could trade for former first-round pick Darron Lee or they could use that No. 10 draft pick to take a player like Devin White or Devin Bush. Lee, who was drafted by the New York Jets in the first round three years ago, has failed to live up to his potential. He’s racked up 238 tackles, 17 tackles for a loss with four sacks and 11 passes defended. None of those sacks came in 2018, however, his coverage was stellar with three interceptions. And, that’s what the Pro Football Focus grades say of Lee, too. His run defense (55.1 grade) leaves a lot to be desired, but he was the fourth-best coverage linebacker (84.8 grade) in the NFL last year. With the Broncos being completely inept against the pass to tight ends, Lee could come in and remedy that mess immediately. And with the way the team has overhauled their back end — with the additions of Kareem Jackson and Bryce Callahan — Lee’s coverage abilities could make the Broncos the most difficult team to complete a pass against in the NFL. However, it must be noted that Davis was regularly out of position on run plays, too, most notably in that debacle of a loss to the New York Jets last year. 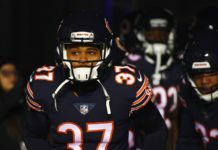 Lee and Davis together could mean gaps opening up in the run game, but if the price is right for Lee, the Broncos could pull the trigger on a trade. The Jets spent massive money on C.J. Mosley — whom Broncos fans really wanted, but not for $17 million a year — leaving the writing on the wall for Lee. New York will likely now look to trade him and Denver is certainly one destination who could — and should — be inquiring. 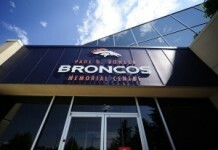 If the Broncos instead decide to let Lee lie, they could turn their attention and efforts toward next month’s draft. We’ve been high on Devin White being the Broncos’ pick at No. 10 for a while now, and he almost certainly cemented his position in the top-10 this year with his impressive NFL Scouting Combine performance. White’s 4.42 40-yard dash was the best of any linebacker and he dominated last year in the SEC, racking up 123 total tackles, which was the most in the conference and earned him an AP All-American selection. If it’s not White — who could have pushed his stock higher up, past Denver at ten — then the “other” Devin in Bush could be the man for the orange and blue. Bush was named the Big Ten Defensive Player of the Year in 2018, he totaled 80 tackles with 9.5 TFLs, and five sacks. He was a second-team All-American and also skipped Michigan’s bowl game to prepare for the NFL draft, and that work seems to be paying off with his 4.43 40-yard dash. Each are similar in size (White is 6′ and 237 pounds, Bush is 5’11” and 234 pounds), each somewhat smallish in terms of linebackers at the next level. However, each of them possess the speed and abilities to cover tight ends, making them versatile threats to any NFL team who drafts them. While any of the three options — Lee, White and Bush — would benefit the Broncos in the short and long-term, the best option of the three is White. However, he may have pushed his draft stock up, meaning Denver would have to trade up to get him.